The President of Afghanistan, Hamid Karzai is scheduled to arrive in Sri Lanka on a three-day visit on Sunday, aimed at further strengthening the bilateral relations between the two nations, officials said. The External Affairs Ministry said President Karzai will meet with his Sri Lankan counterpart President Mahina Rajapaksa and other top government officials during the visit. He is also expected to meet the Parliamentarians of the Opposition during his three day stay in Sri Lanka. President Karzai will hold talks on the upcoming United Nations Human Rights Council sessions to be held in Geneva next month. According to External Affairs Ministry, President Karzai will officially open the Embassy of Afghanistan in Colombo on Monday. Currently the Afghan ambassador to India serves as non-resident ambassador to Sri Lanka. 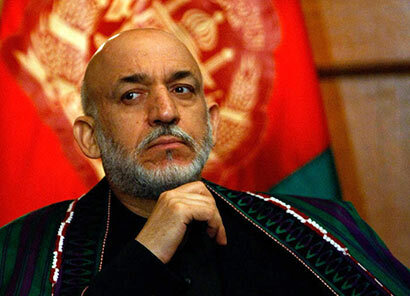 Will this visit of HE Mr Karzai lead to a trade agreement between the two countries? There are many intersted and are pursuing trade opportunities in the flourishing poppy trade coming from HE Mr Karzai’s land. Welcome HE Mr Karzai, let’s walk together hand in hand providing leadership to the world in Kudu trade.